The perfect blend of fresh, sweet and zesty mangoes, with subtle tropical notes of papaya, peach and creamy coconut create a balanced fragrance that is just to good to be true. With our Mango Madness Odor Eliminator Air Freshener Spray, you will be ready for summertime fun. This odor eliminating air freshener will whisk you and your worries away with a true-to-its-name fragrance and smells just like Mango frosty. 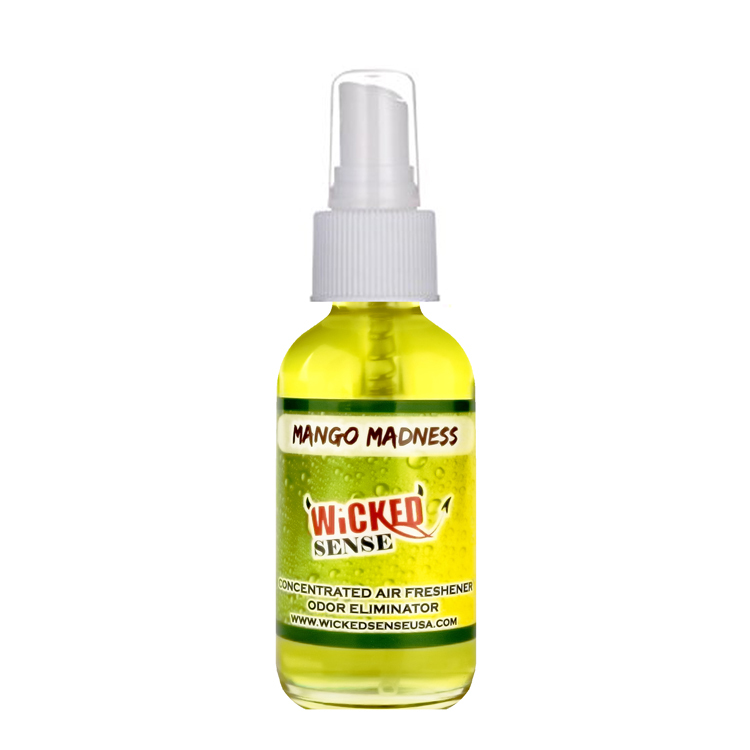 —order your Mango Madness Odor Eliminator Air Freshener Spray from our online store today! Smells Like: Refreshing tropical scent of mouth-watering Mango frosty.